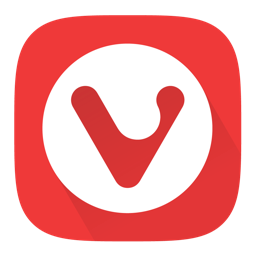 Vivaldi 1.12.936.3 (x86/x64) Portable ~ Apps2Portable | Free Portable Apps for PC ! The program displays a compact and intuitive user interface, allowing you to open multiple tabs and organize them with the help of the ‘Tabs Stacks’ feature, so you can switch between them with ease, either via mouse actions or keyboard shortcuts. However, it cannot run in multiple instances or several simultaneous windows. Moreover, Vivaldi offers extensive support for keyboard shortcuts, allowing you to perform almost any action you need through a few keystrokes. These can be customized from the ‘Settings’ section, along with other ‘Appearance’ related aspects and ‘Privacy’ preferences. To conclude, Vivaldi is an interesting application that you can resort to as a more practical alternative to regular browsers, thanks to the helpful functions that if provides you with. Being in its development stage, it still has some kinks to work out, but as it is, Vivaldi presents a lot of promise for the future. • Vivaldi ’s color scheme will adapt as you browse the web, much like a chameleon adapts to its surroundings. A clean and modern look complements the content. Facebook turns Vivaldi blue, The Verge will make it orange – If you so wish. • Say goodbye to tab-cycling through web page content now. You can move in every axis using the arrow keys. Get faster anywhere on the web page using your keyboard. • Have multiple computers that you want to keep in sync? Vivaldi Sync enables this beautifully. Your bookmarks, history, passwords and settings can all be synchronized across various instances of Vivaldi through the encrypted sync infrastructure. Watch out – It’s coming soon. • Now that’s a double treat – your e-mail client built into your web browser. E-mail is still undeniably important to many of us. Vivaldi offers a robust, efficient, light-weight mail client. And, it's going to be called M3. Stay tuned for updates. • How many bookmarks do you have in your browser? 56, 225, or 1056? If you use bookmarks a lot, you have come to the right place! With Vivaldi's bookmark manager you can organize and access your bookmark efficiently. You can set your own tags and nicks for lightning fast access. • Web Panels allow you to view websites as a panel on the sidebar of your Vivaldi browser. Read news, follow conversations on social media, chat with your friends and much more, while using the main browser window separately. It’s the next best thing to having a “Boss Button” on your browser.